Choose a standard SQL query to run on the Fernhill SCADA database. Develop your own SQL query to run on the Fernhill SCADA database. 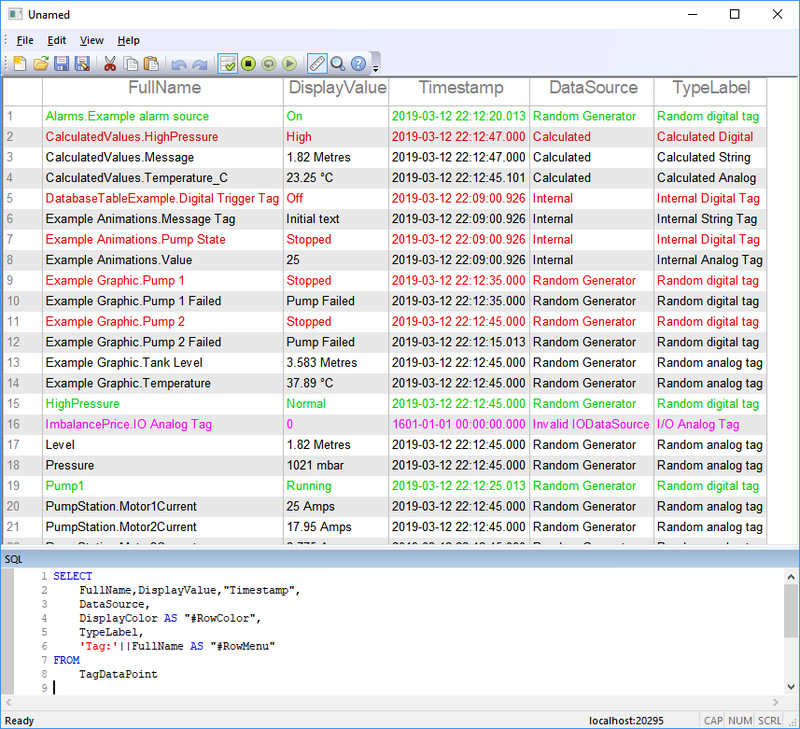 Click on SQL Test Tool. From the menu select File. Select the query from the list. Select a table from the list. You can use a column value to define the color of rows. You can use a column value to associated a menu with a row. See Column Aliases in the SQL Test Tool for information on how to do this. Modify an existing SQL query. Enter a new SQL query. 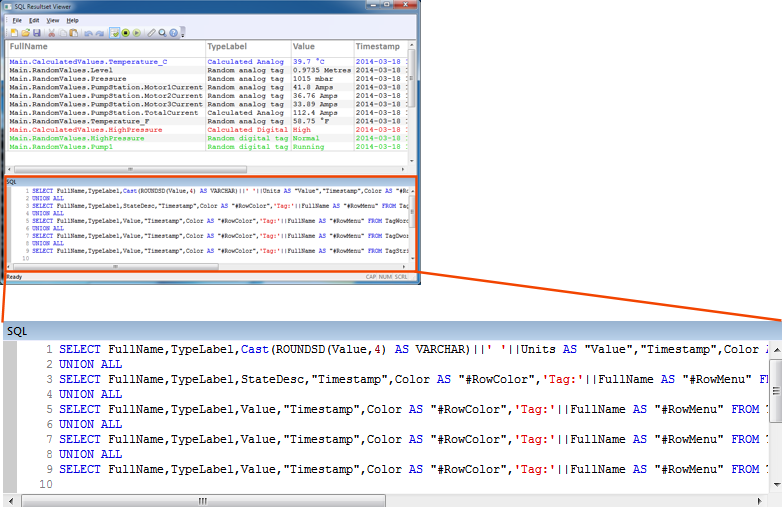 Once you begin typing in the SQL Editor Window, the query stops automatic execution. When you have finished your edits, press the button to restart automatic execution. For the commands and shortcuts supported by the SQL text editor see Text Editor. For information about the SQL Query language supported by Fernhill SCADA see Fernhill SCADA Structured Query Language (SQL). To learn how column alias values can change row colors and associate a context menu with rows. To learn about the commands and shortcuts supported by the text editor.